As you know, I am to have the great joy of participating in a Bible Conference in England tomorrow, as a speaker. So I've been travelling, with limited internet connectivity. 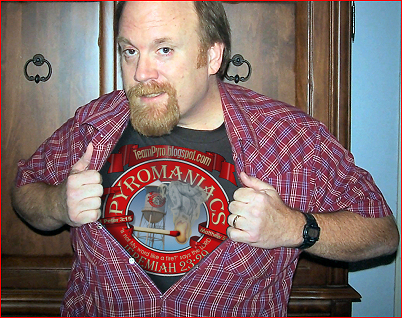 I set up some auto-posts, and asked Phil and Frank to moderate the Pyro posts. Hither and Thither takes a lot of time, which means it's just not a possibility today. Should be back in one, maybe two weeks. Of course, I really hope to see some or many of my British readers at the conference, would love to meet you in person. But my blogging has to be limited at the moment, of course. Please pray for the conference. I'm very excited about it. I'll catch you up on it either hither... or thither. 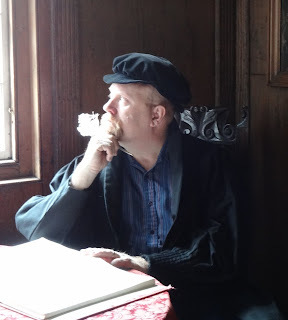 And I'll probably tell you about other parts of my time here... like my visit to John Knox's house. Last minute attendees are welcome, but if you want lunch please call 07986 510806 to make sure it is provided for you. £10 adults; £2.50 kids. Free copy of TWTG to each family attending. 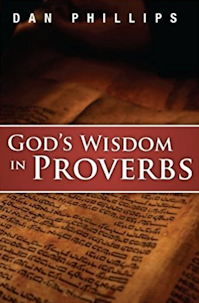 Proverbs book also available at cost price. Remember pictures. Lots of pictures. Praying for a fruitful, God-glorifying time in the UK for you. As an aside, you certainly have the Brit/Scot look down to a tee. Love the hat! Looking forward to hearing all about it! This is the part of the story where Dan announces a live video stream. I'd pay for it. We do want to hear all about it when you get back, details, pictures, links to listen to the messages (or watch videos), you know, the whole nine yards. "Christ in the Old Testament" is such a great theme. A great day! Video footage should be up by the end of next week - free and in HD! Dan, I think you would appreciate that while you have been away and we missed the exciting content from you here and at Pyro, I've been checking my email and Kress account, waiting for my GWIP pre-order status to change from the tantalizing description "Awaiting Fulfillment." Meanwhile, it appears my wife was one of the lucky winners of the Friday giveaway! So we (hopefully very soon!!) will have one copy to read and another to give away. Thanks so much for ordering, Stephen. It should be coming soon, from what I understand. As to the extra copy, since Kress is a smaller, low-profile company, I'm sure they'd appreciate you choosing whoever you think might result in broad recommendation of the book to as many as possible -- assuming the person finds it helpful. Are you mimicking Calvin or Augustine in the photo? I do see the resemblance. The immediately-preceding words are a hint. 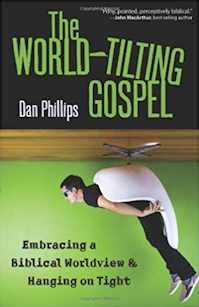 Dan's videos and audio from the conference are now available at: Keep on Walking. His audio from the Sunday morning and evening services are also up. The Sunday videos will be added at some point as will the other conference speakers. Eventually we'll have all the conference speakers' audio and video up at Ashford Bible Conference too. I can relate how blogging takes time. If it is your passion your faithful followers will understand your "leave of absence" and most definitely will be back. Nice blog you have here.